Are genetically modified organisms (GMOs) really so bad for us and the environment, and given their prevalence in our food supply already, how can I avoid them? Unless you only buy foods that are certified organic or marked as “GMO-free”, odds are that a great deal of the food you eat contains genetically modified organisms (GMOs). But are you risking your health and damaging the environment by eating GMOs? Not according to Monsanto, the agricultural biotechnology company that is a leading producer of GM seed. Monsanto contends that GMOs are safe to eat and that seeds with GM traits have been tested more than any other crops in the history of agriculture - with no credible evidence of harm to humans or animals. 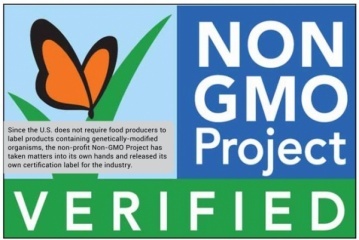 According to the nonprofit Non-GMO Project, genetically modified crops and food items can contaminate conventional crops and foods through cross-pollination and/or contamination. Also, since many GM crops are designed to be immune to herbicides and pesticides, farmers have increased their use of various weed and bug killing chemicals to keep competition for their cash crops at bay. The resulting overuse of these chemicals has led to a rapid evolution of “super weeds” and “super bugs” that can quickly take over unmaintained or wild lands. Given the prevalence of GMOs in our food supply already, the nonprofit Just Label It believes labeling everything that contains GMOs would be a start, so at least consumers can choose on their own what they put in their bodies. Some 64 countries around the world - including China, Japan, Australia, Brazil, Russia and 28 nations in the European Union - currently require labeling on foods created with GMOs. Just Label It is one of many activist voices calling on the United States to follow suit. The group has created an online petition so everyday Americans can let the U.S. Food & Drug Administration (FDA) know that they have the right to know what’s in their food, especially when it comes to GMOs. CONTACTS: Monsanto, www.monsanto.com; Non-GMO Project, www.nongmoproject. org; Just Label It, www.justlabelit.org; Whole Foods, www.wholefoods.com. EarthTalk® is produced by Doug Moss & Roddy Scheer and is a registered trademark of Earth Action Network Inc. View past columns at: www.earthtalk.org. Or e-mail us your question: editor@earthtalk.org earthtalk@emagazine.com.